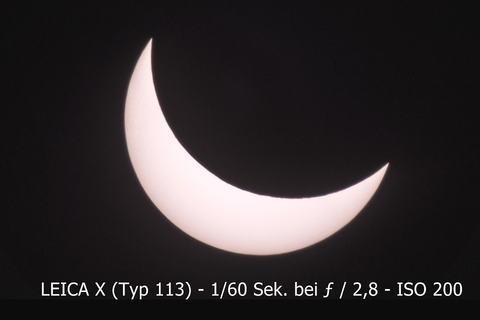 On 20 March, a solar eclipse will be visible in some parts of Europe. What do I have to consider when observing this natural spectacle with a spotting scope or binoculars? The most important thing is to use a special protective film that can be applied to your spectacles or to the front lenses if using a spotting scope or binoculars. 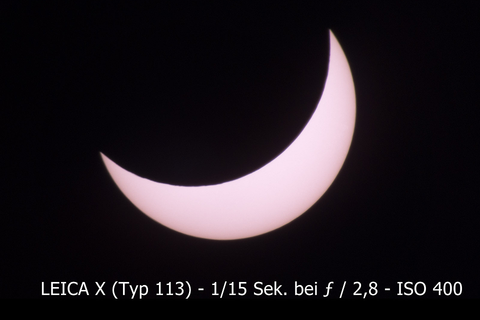 A spotting scope is an ideal tool for observing a solar eclipse. 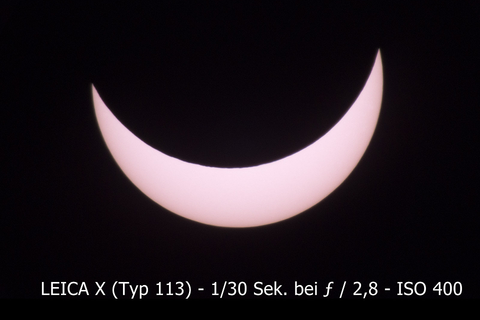 It is particularly easy to follow the path of the moon across the sun when you mount your Televid on a tripod with a panning head (video head). Can I take pictures of the event, too? Very well, in fact. But you must attach the special film to the front of your camera lens. This is a situation where taking pictures with focal lengths of 400 mm or longer makes perfect sense. I would recommend setting the aperture to between f/4 and f/5.6 and selecting you camera’s sensitivity to its lowest possible value, in other words between ISO 100 and 200, depending on your camera. In clear weather, ideal shutter speeds should be between 1/500th and 1/1000th of a second. 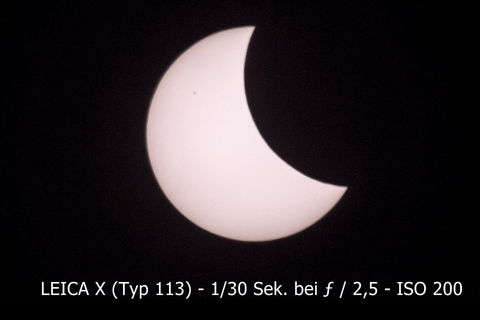 Can I use my Leica spotting scope to take pictures of the solar eclipse? Yes, you have two different options: compact cameras like the Leica X can be attached directly to the eyepiece of your spotting scope via an adapter. For system cameras like the Leica M or Leica T, you can use the Leica Photo Adapter and simply screw it onto your Televid with the ring suitable for your camera. 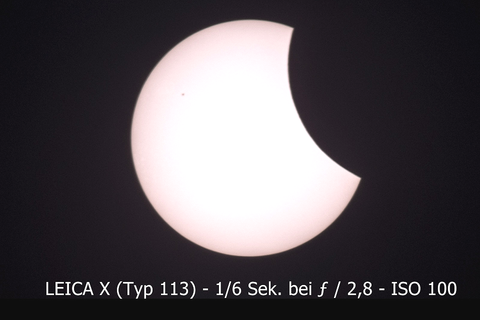 Using the adapter brings you the equivalent of a super-telephoto with a focal length of 800 mm with the Leica M and 1200 mm when using a Leica T. This lets you observe and take pictures of the solar eclipse even when the sun is visible through partial cloud cover. 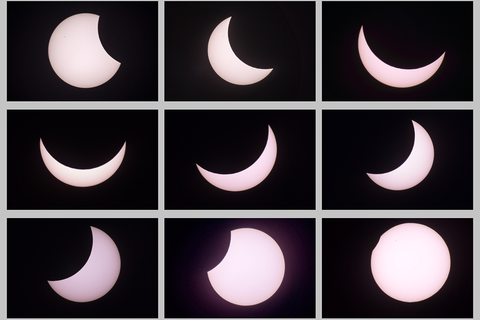 Be a part of this special event and upload your image of the solar eclipse on Leica Fotopark by using the hashtag #LeicaEclipse.